What a fun way to practice alphabet identification! 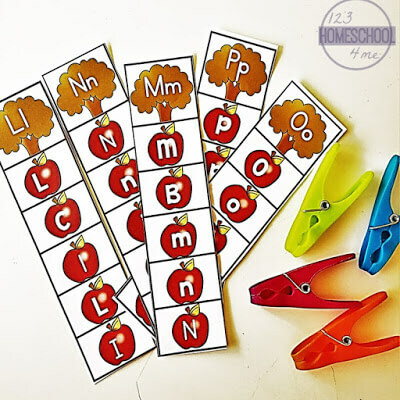 These fun Alphabet Apple Clipping Strips will get kids identifying the letter on the tree and then clipping the matching upper and lowercase letters on the strip. They are perfect for apple season and in the fall. 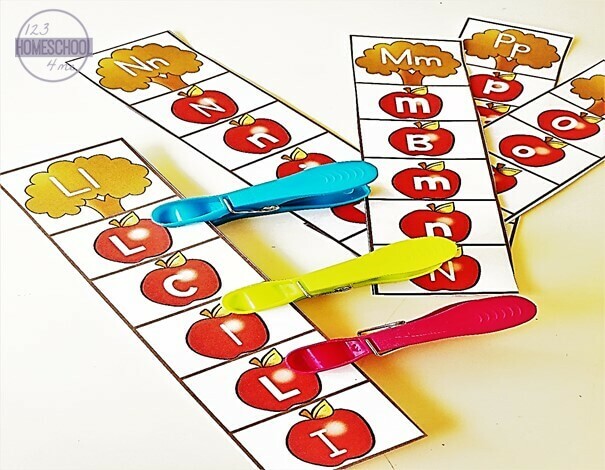 Kids will be practicing their fine motor skills with these fun activity strips! 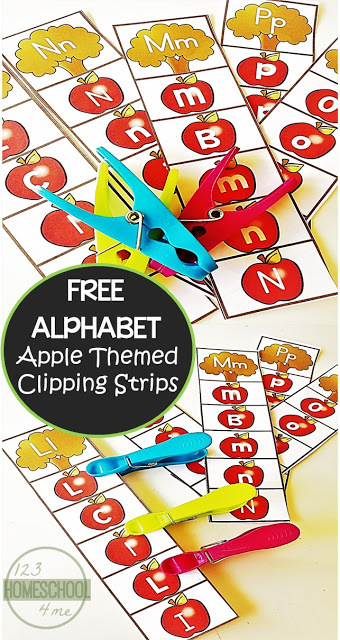 TheseAlphabet Apple Clipping Strips are so much fun, the kids will love them! They will not even recognize that they are identifying their upper and lowercase letters by doing this activity. 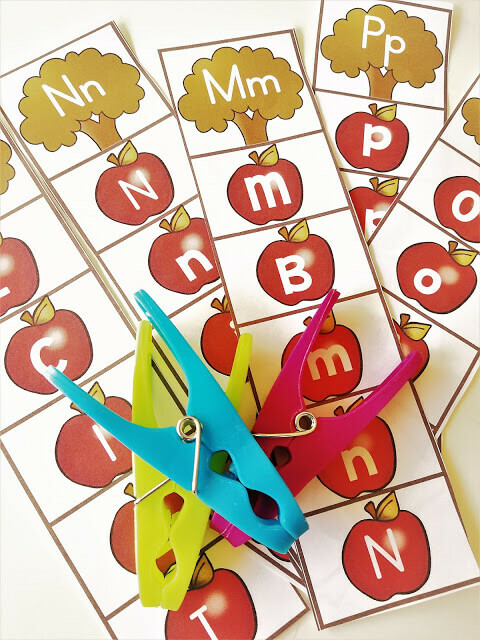 Kids love anything apple themed and I’m sure keeping them busy with pegs and clippers will get them even more excited about their alphabet! Before we get started, I like refreshing our alphabet knowledge by reciting the alphabet. This is especially beneficial for ESL / ELL kids. We play a little game with alphabet letters on the board. It’s a quick matching activity (I write three letters on one side with three matching uppercase/lowercase letters on the other). I then ask the kids to draw a line to match the letters. Download the Alphabet Apple Strips below. Get each student to pick one strip and then read out the letter showing on the tree. They then try to find the matching letters on the apples. They read each letter as they prepare to clip the boxes. Once they identify that it is the same letter showing on the tree, they then clip the boxes. Finally, it’s a good idea to check the kids cards to make sure they have clipped the correct boxes. The kids can then write their uppercase and lowercase letters in their notebooks for added practice.